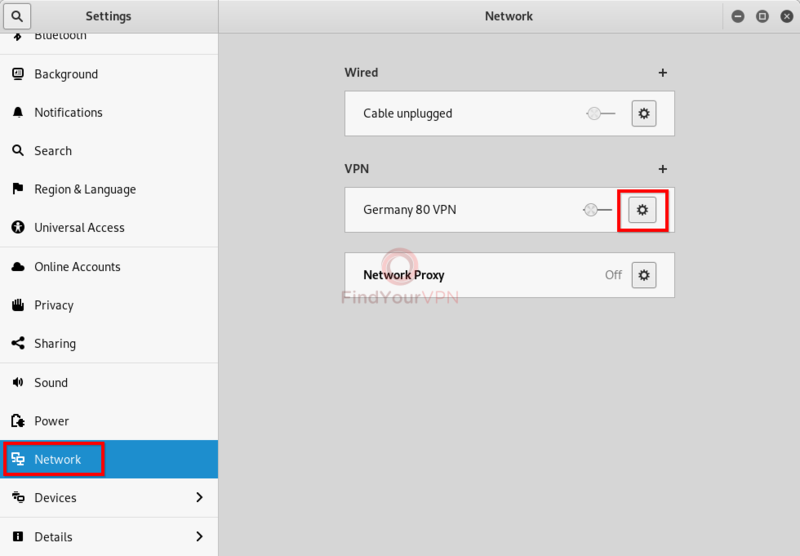 Searching the Internet for the ideal virtual private network application that meets all your needs means downloading and installing many VPN tools until you come across the right match. This typically happens when people are keen on trying out apps that are free to use, have a free trial/demo or come with a money-back guarantee. 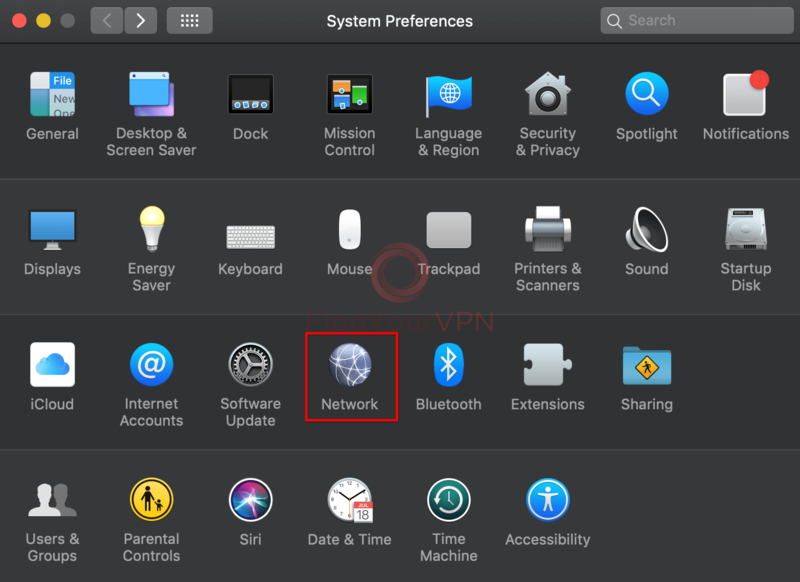 The steps necessary for installing VPN are the same as for any software applications, regardless of the platform and operating system we’re talking about. Besides reading the terms and conditions, you might have to allow the TAP driver setup as well as customize the installation by choosing which components to add while excluding the rest. But it can become tricky to uninstall VPN, and this is where we can help you. 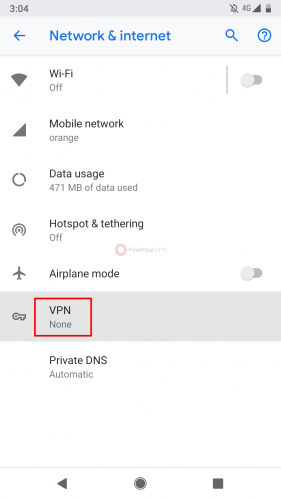 If you have decided to remove a VPN application from your device, it’s essential to take all the precautions and make sure there’s no trace of it left lying around on the device. 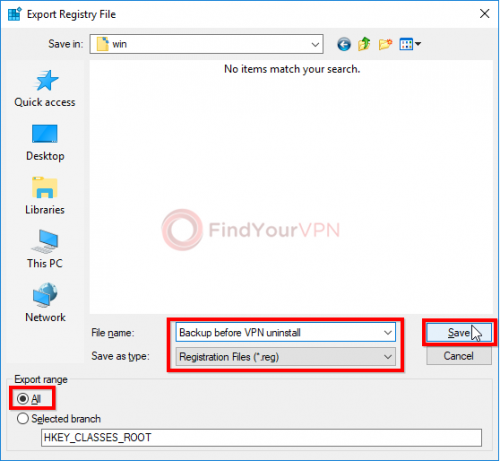 To do this, you have to get rid of all files and folders associated with the VPN. There are two main reasons for this. 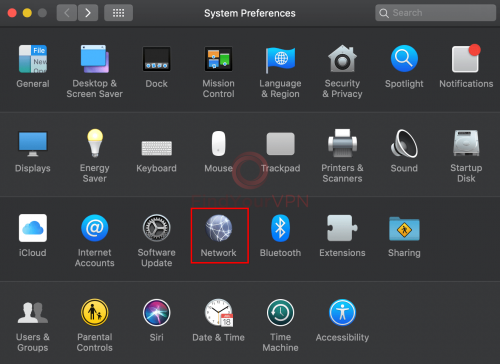 Firstly, you might encounter problems when attempting to install a second virtual private network client. 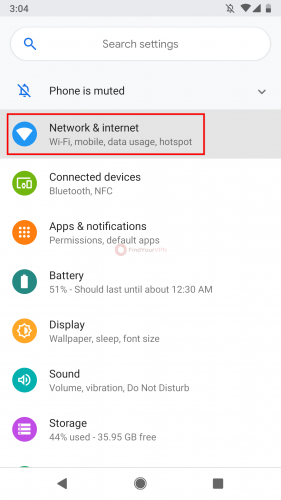 For example, conflicting TAP drivers can lead to system stability issues or VPN connection failure. 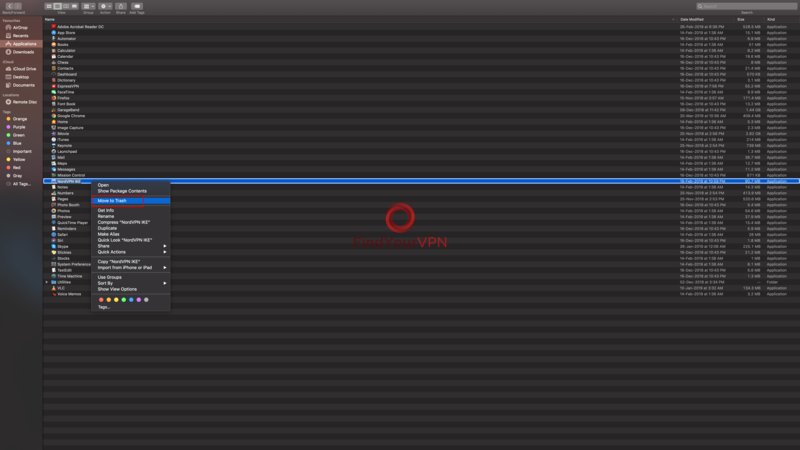 This is why it’s recommended to uninstall VPN the correct way before trying to set up another similar service. Secondly, a VPN service might leave behind data after uninstall, such as login details, just in case you change your mind and wish to set it up again. It’s not a matter of having disk space occupied with junk data since it usually has a small size. On the other hand, having your login information lying around on your computer becomes a security issue since anyone with access to your device can get hold of it. We’re prepared this quick and simple guide to help you safely and completely uninstall VPN, whether you’re running Windows, macOS, Linux, Android or iOS. 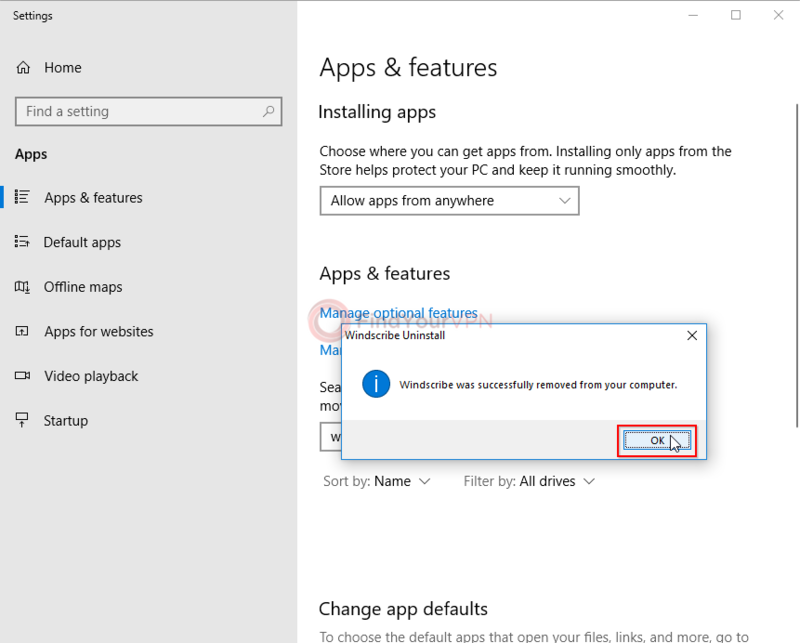 Unfortunately, Microsoft’s operating system is not that efficient when it comes to removing-installing applications and leftover files, folders and registry entries. But there are software products made by third-party developers which are specialized in not only uninstalling programs but also finding and deleting all associated information. Revo Uninstaller Pro has a free trial of 30 days, during which all program features are unlocked. There’s also a freemium version available without a time limit, but it has fewer features and is less powerful. It’s not ad-supported. Wrapped in a user-friendly interface, Revo goes through three steps for completely and safely uninstalling VPN: create a full registry backup and system restore point (in case Windows starts experiencing stability issues and requires rollback), run the tool’s own uninstaller, then scan the computer for leftover files, folders and registry items. There are three scan modes, depending on how thorough you want it to be: safe, moderate and advanced. “Advanced” means that any registry entries shared with Windows will be removed too, but this is risky. 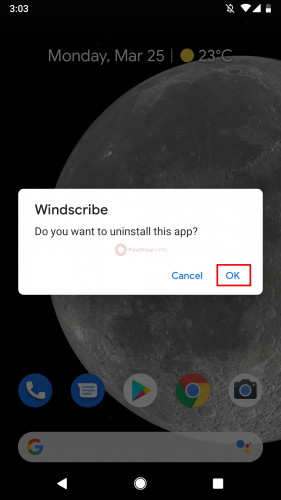 IObit Uninstaller is a freemium application with no time limit, where the uninstall feature has no restrictions (it’s just as good in the free and pro version). 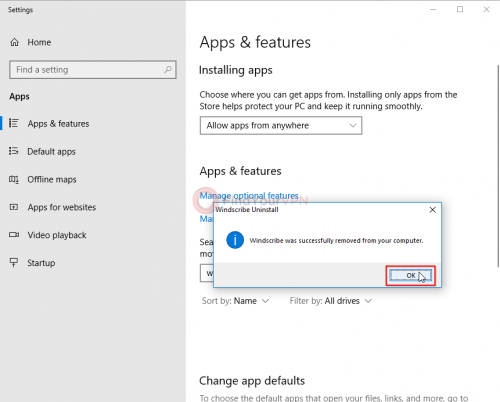 However, the program is ad-supported: it offers to install additional apps and shows banners during runtime. IObit has a really intuitive GUI. 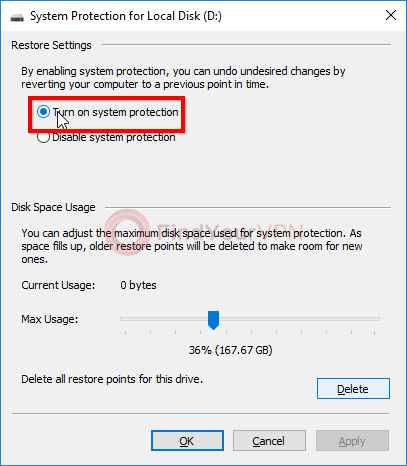 Just as Revo, it is capable of creating a system restore point before uninstalling and of automatically removing leftover files. 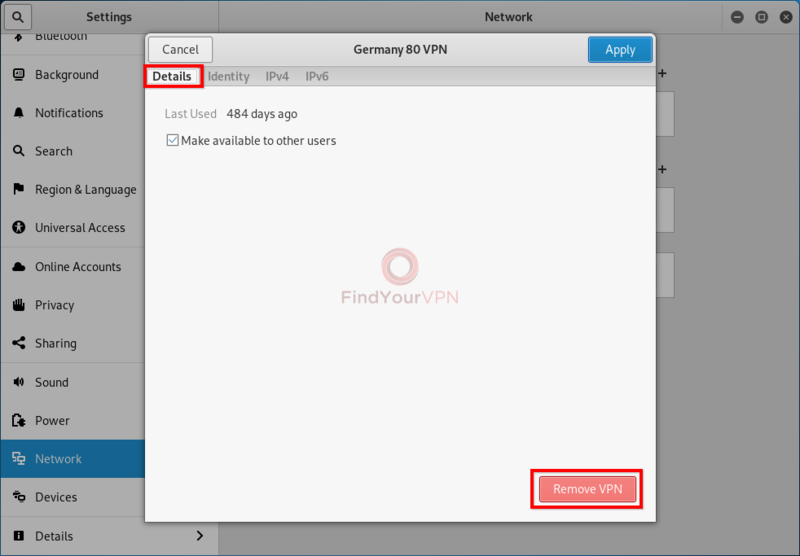 Therefore, you can make sure that no VPN login information remains on your computer. 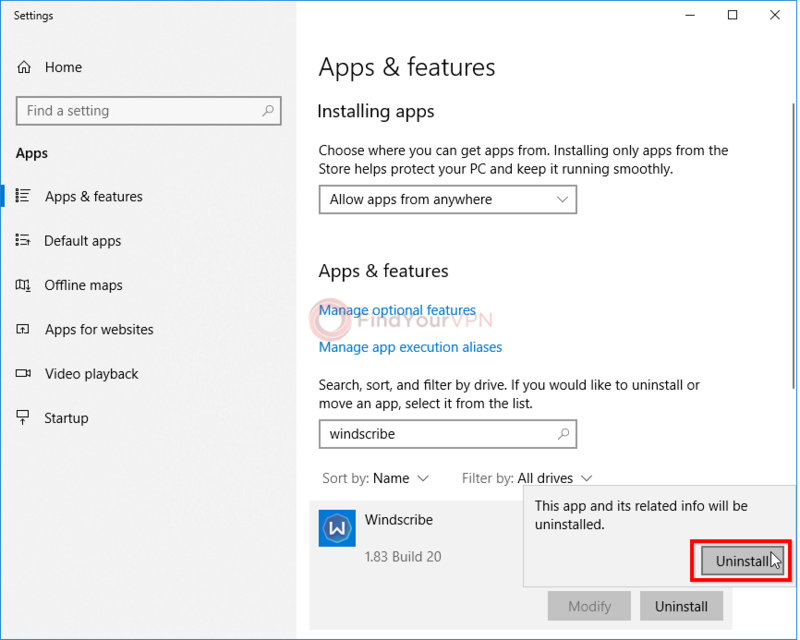 Total Uninstall has multiple editions available but the compact one called “Essential Edition” leaves out extra features. It also has the same powerful analysis engine as the standard and professional versions. It’s not ad-supported and can be used for free for 30 days. 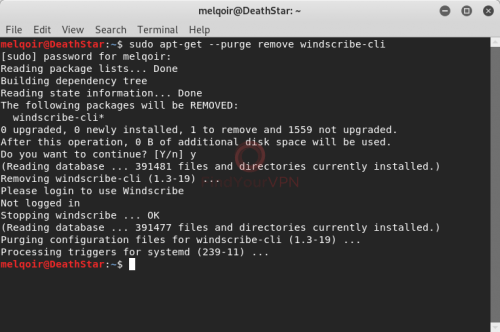 Total Uninstall shows a list of all installed programs at startup. 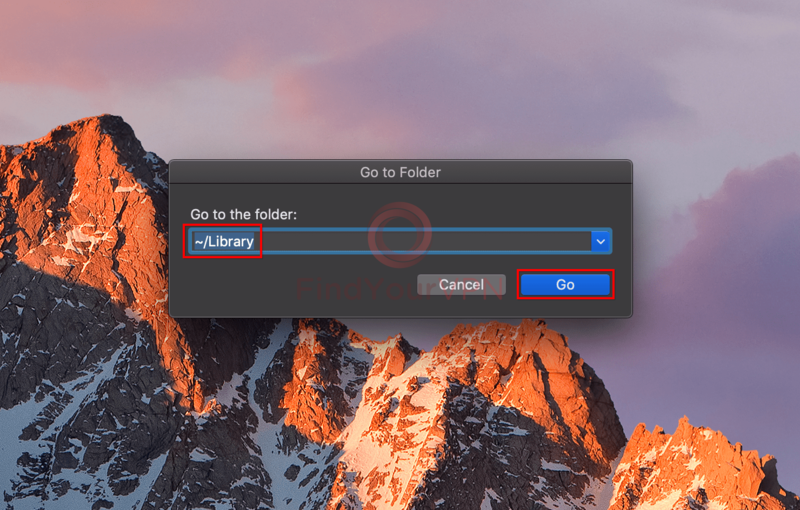 After clicking an entry, it performs an automatic analysis to find all files, folders and registry entries associated with the selected application, all of them being neatly displayed in a tree. 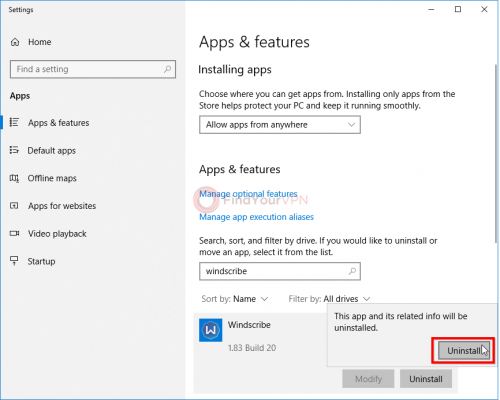 The uninstall process is the same as with the previous two apps: create a system restore point, run the VPN’s uninstaller, then continue the search for remaining folders, files and registry entries. After the task is over, you can check out a list with all deleted leftovers. 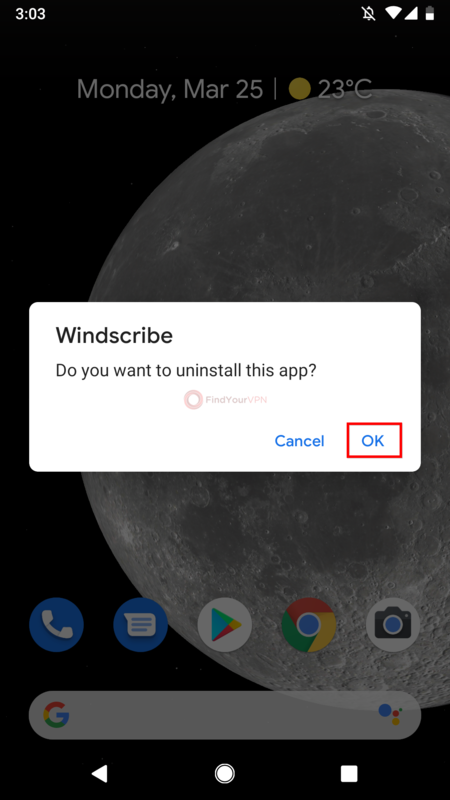 If you don’t want to go through the trouble of installing an application just to be able to get rid of another one, then you can take the traditional route. 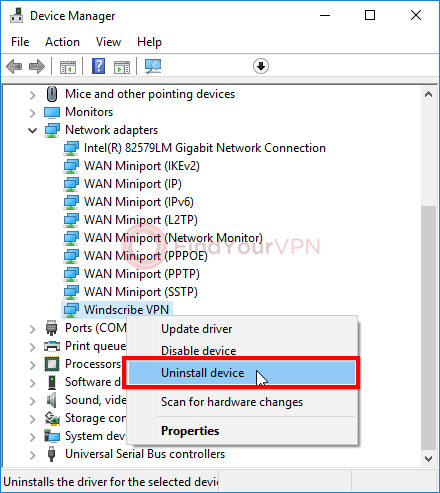 To make sure you’re uninstalling VPN the correct way, though, it’s necessary to add a few steps, like creating system restore points, restarting the computer and checking the OS stability between steps to narrow down the list of problems (if any). Click the Start button or press the Win key, type Create a restore point and click this match or press Enter. 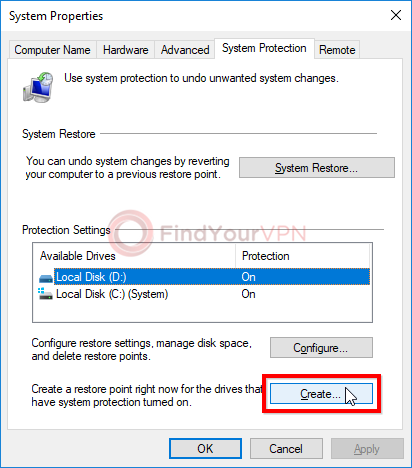 Click Create…, write a name for the restore point and click Create again to set up a new Windows restore point. 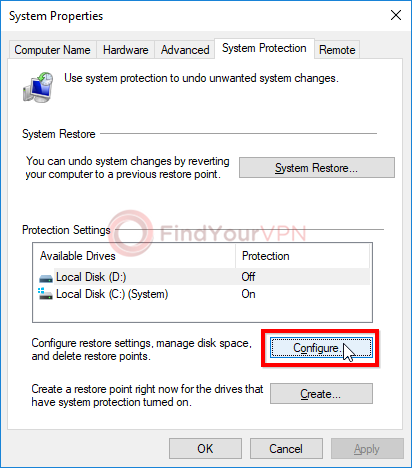 Note: The restore point will be later used if your OS is acting strangely after uninstalling the VPN. Click the Start button or press the Win key, type Add or Remove Programs and click this match or press Enter. 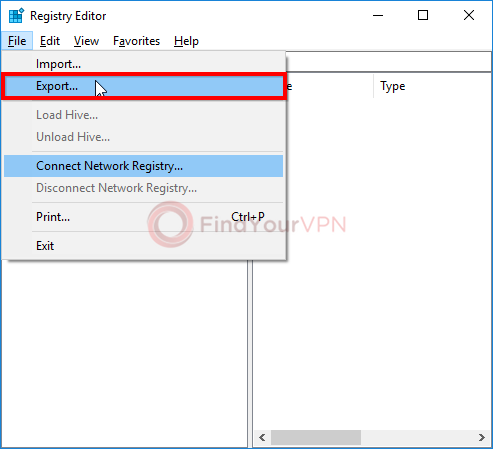 Type the name of your VPN client in the Search this list box or scroll the list of installed programs until you find it. Click the entry of the VPN service, click Uninstall, then click Uninstall again to confirm the action. Run the tool’s uninstaller and go through all steps until finished. 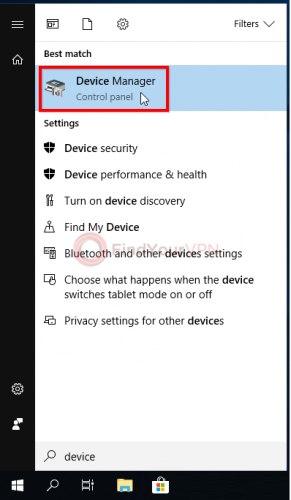 Tick the box of Delete the driver software for this device and click Uninstall to remove the TAP driver. Note: If everything is working fine, proceed to the next steps. Otherwise, roll back to the restore point. 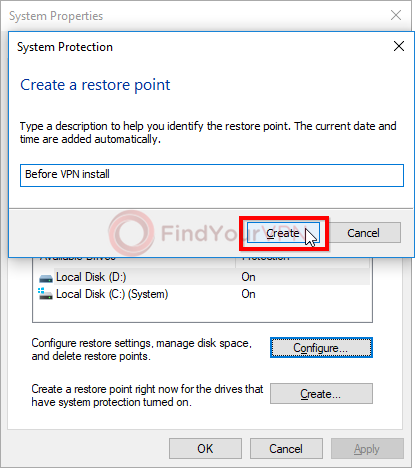 Create a new restore point (go back to 1. to view steps). 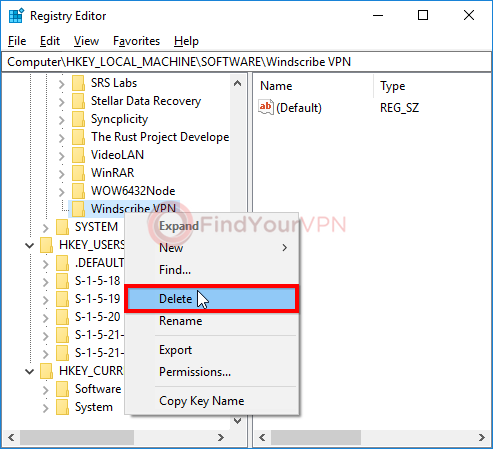 It can be used to later rollback in case you accidentally deleted important personal or Windows files. Delete the files by sending them to Recycle Bin. It’s important NOT to permanently remove the files by emptying the bin because they can be later restored in case you accidentally deleted something you shouldn’t have. Make sure to select All from Export range below, then click Save. Note: Saving the entire system registry may take a long time, depending on its size. During this time, Registry Editor might no longer respond to commands (has the “not responding” message displayed in the title bar). Just wait and don’t try to forcefully exit the utility. The registry backup will be later used to restore registry settings in case you accidentally make some unwanted modifications that can cause system failure. 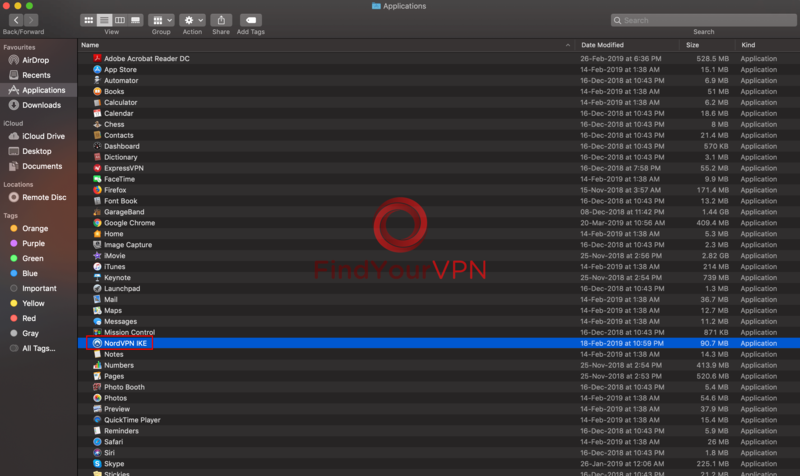 Go to HKEY_LOCAL_MACHINE\SOFTWARE and then HKEY_CURRENT_USER\SOFTWARE to look for folders with the name of your VPN client. Delete associated registry entries by right-clicking the containing folder and selecting Delete, then click Yes when prompted for confirmation. Note: If you’re unsure about deleting suspicious registry entries, run a Google search with the key’s name to find out more information. Don’t worry, you can restore the previous registry settings even after restarting your computer. Just double-click the saved .reg file and confirm the action. 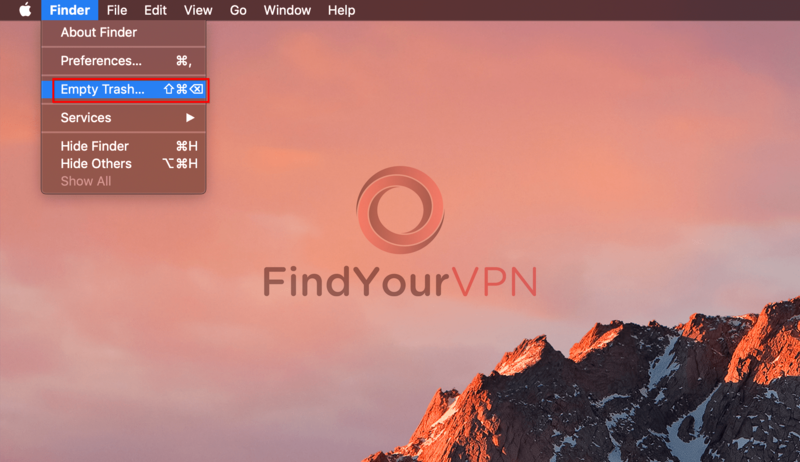 Just as the Windows case, it’s possible to manually remove installed VPN services from macOS. But if you prefer a quicker version, then you can turn to the aid of specialized applications made by third-party software developers. 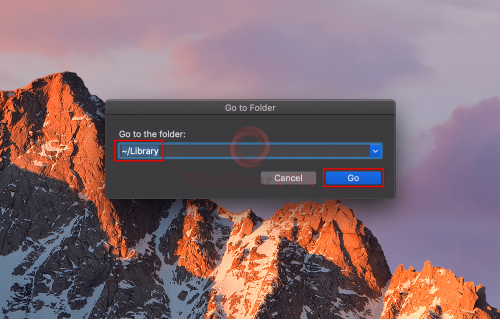 Osx Uninstaller is a really light Mac app with a free trial. It analyzes all files and plugins associated with an installed application, showing detailed info on each item before removing it. 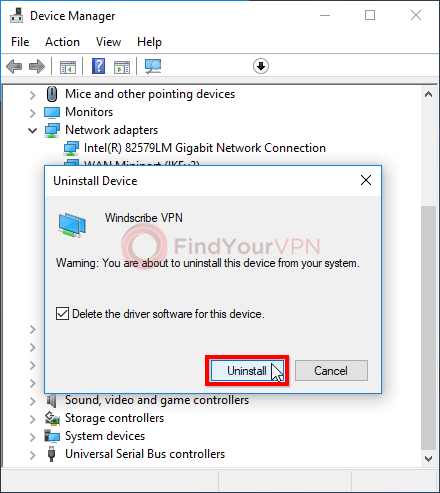 The complete uninstall feature takes care of not only the VPN service but also all associated files and folders. AppCleaner is totally free and can be just as easily used for correctly uninstalling VPN. 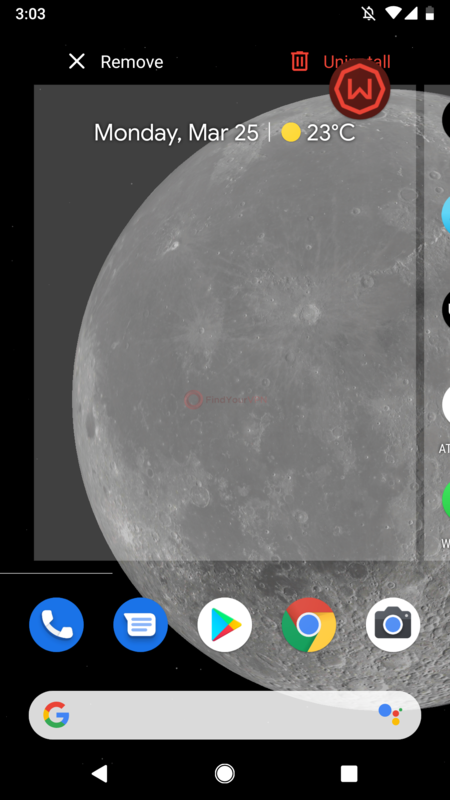 In addition to removing an installed application and all related files, it has a “SmartDelete” feature which, once enabled, automatically detects if an app sent to the trash can left any files behind. If found, AppCleaner gets triggered and it offers to remove everything. AppDelete has a free demo that’s unfortunately limited to five uses. 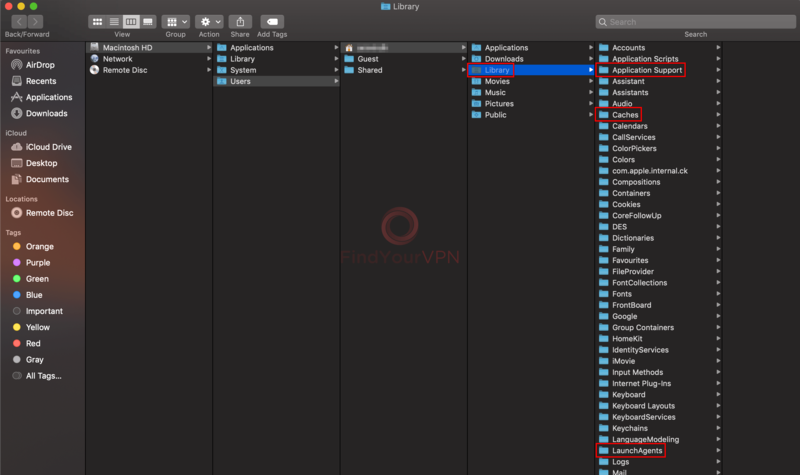 The Mac utility autodetects all installed apps and gives you the possibility to uninstall anything, including VPN services, together with all associated files. After removal, AppDelete offers to find and delete orphans, which are items left behind after uninstall. 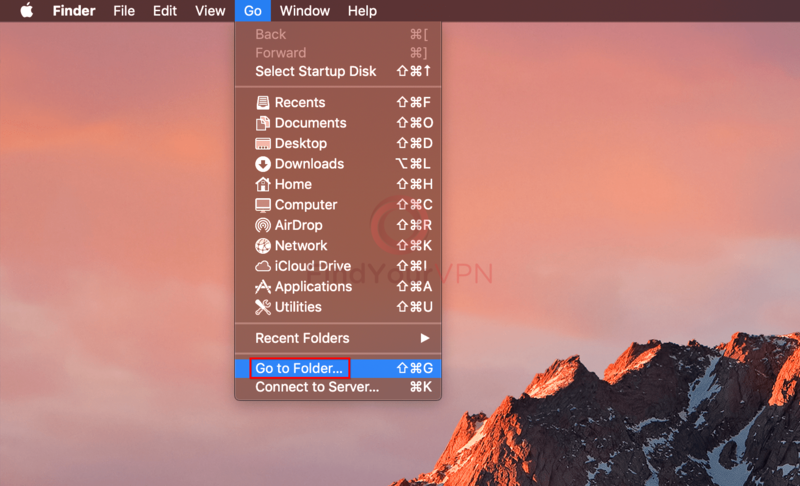 If you don’t want to depend on a third-party tool to completely and safely uninstall a VPN service on macOS, then you can do it yourself by taking fewer steps than on Microsoft’s operating system. Note: Unlike Windows, you don’t have to go through the trouble of manually uninstalling TAP drivers. 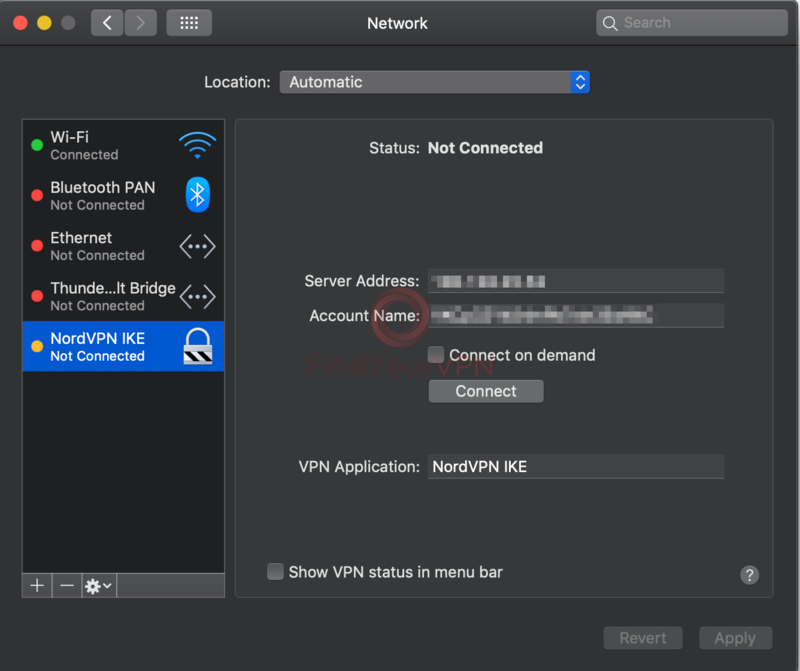 Even if they remain behind on the Mac, there will be no conflicts when installing a new VPN client. Note: If the VPN used additional packages than its own, then these are no longer useful and can be eliminated. 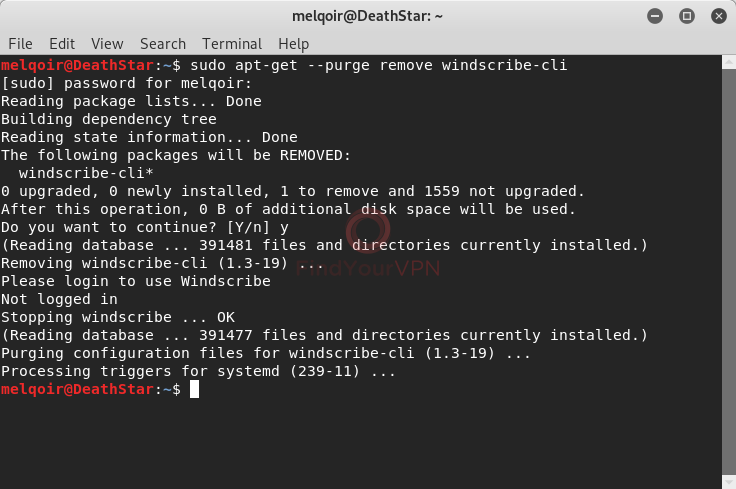 This can be done by adding sudo apt-get autoremove to the previous command to become sudo apt-get purge –auto-remove program_name. 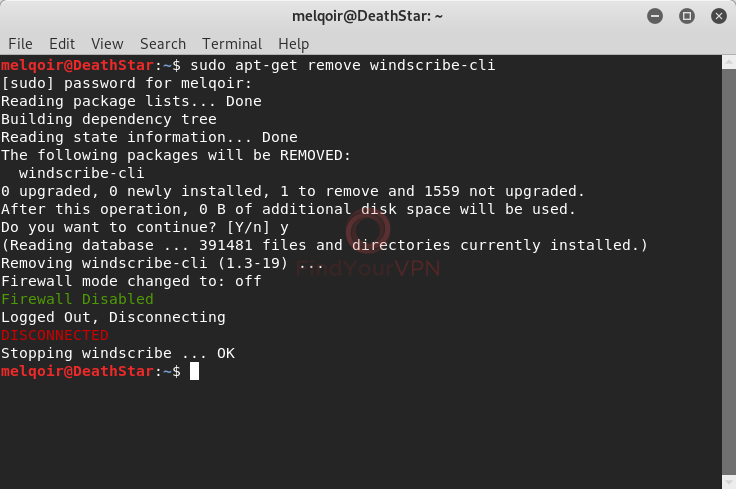 Write sudo rm start_of_name* (please note the asterisk symbol). 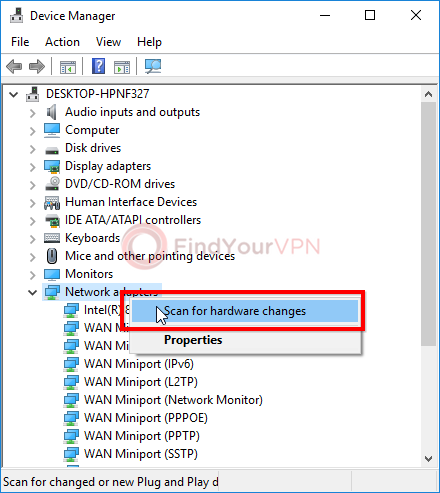 This will remove all VPN connections that start with the specified name. Note: If you have trouble with NetworkManager, you should know that it doesn’t have any interface specified in /etc/network/interfaces by default (starting with Debian 6.0). This means that you have to manually activate interface management. To do this, you can edit the NetworkManager.conf file found in /etc/NetworkManager/ in order to set managed=true. To easily edit the NetworkManager.conf, you can install a text editor package like gedit (sudo apt-get install gedit), then edit the file using gedit NetworkManager.conf. 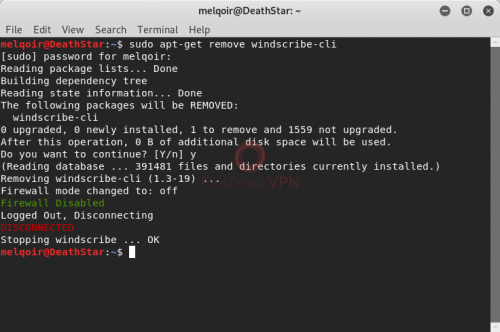 Don’t forget to reinstall the service after enabling interface management (sudo service NetworkManager restart). 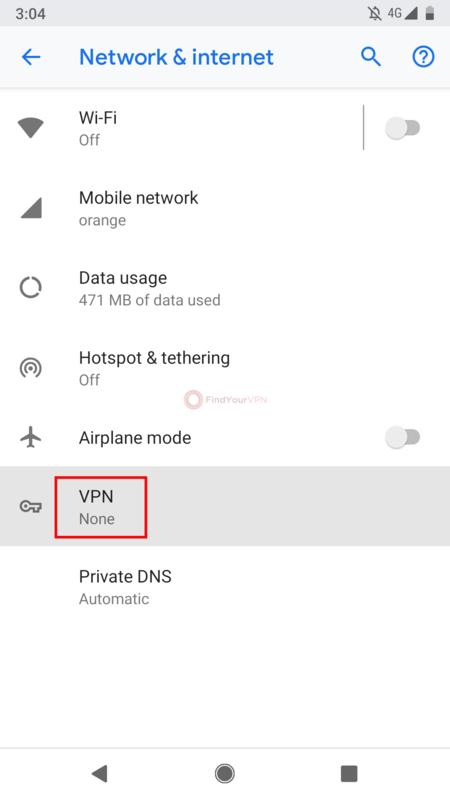 If you have installed a VPN client, then you should be able to get rid of it the same way you would remove any Android app: tap and hold the icon, then drag to the Uninstall button on top of the screen and confirm the action. 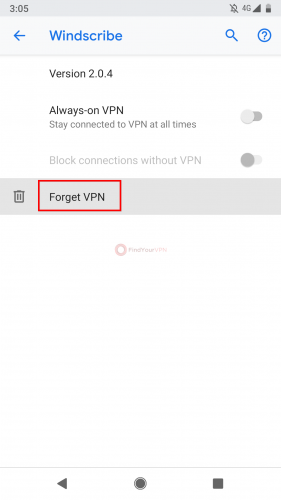 After doing this, though, it’s possible that the VPN connection profiles will remain on your device. Just like in the Android case, your VPN connections might still exist on your iPhone or iPad. 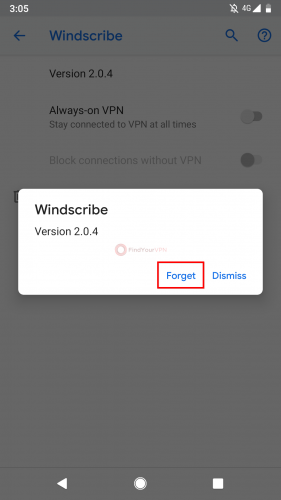 If this happens, it’s because the VPN service provider thinks you might change your mind and reinstall the app, so you don’t have to go through the trouble of setting up the VPN profile from scratch. 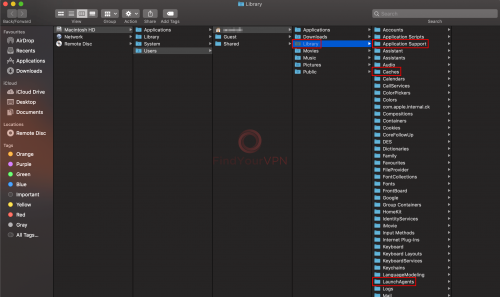 It’s easy to just uninstall VPN, but you have to be extra careful if you want to get rid of every trace of the software application, especially when it comes to login data that can fall in the hands of someone else with access to your device. 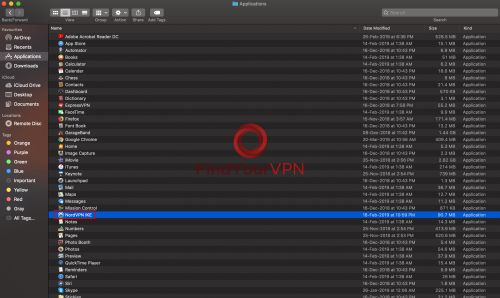 Finding the ideal VPN service can seem difficult at first but it’s not impossible with a bit of patience and a lot of research. 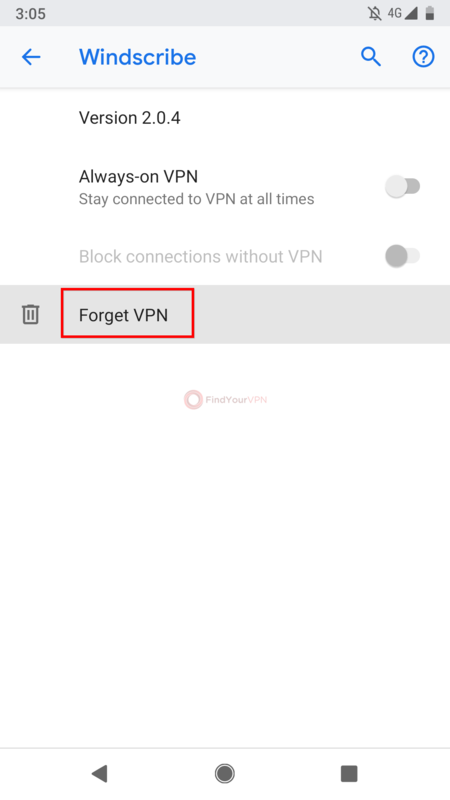 If you had any problems when trying to completely remove a particular VPN app, please don’t hesitate to tell us in a comment below.